Three Awesome OBD2 iPhone Bluetooth Apps That You Need to Turn your Phone Into a Engine Diagnostic Powerhouse! Clearing the Check Engine Light doesn’t have to break the bank! Uh oh. Is your check engine light on? That dreaded amber light used to ruin my day until I learned that I could use my iPhone to fix my car! 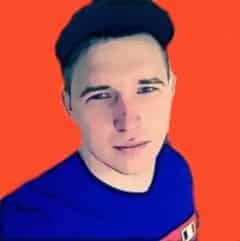 Hey I’m Matt from ScannerAnswers. We’ve talked about iPhone code readers in the past, as well as OBD2 software for iPhones, but today we’re going to talk specifically about the iPhone app that you’ll need to use with your Bluetooth code scanner. Some shops around us cost around $50 to diagnose the check engine light and clear the code! The cost will only cover the diagnostics and learning the meaning of the diagnostic trouble codes (DTC). And that’s just for a single scan. This is partly the reason why it is more economical to have your own OBD2 scan tool. If you have an iPhone or Apple device (iPhone, iPad, etc), you’ll need a scan tool that is compatible with iOS. In most cases, Wi-Fi scanners are the best choice. OBD2 scanners powered by Bluetooth are usually designed for Android and Windows devices only. Now there is an exception to that rule and we’ll talk about it later, but for now, let’s talk about two of the best OBD2 iPhone app Bluetooth on the market. If you decide to purchase a lower-priced EML327 adapter, then you’re going to need to install an application on your iPhone or iPad to allow your phone to communicate with the OBD2 adapter. Below you’ll find a paid option and two free options (with paid upgrades). ** Quick Note: If you purchase a Bluedriver Adapter, you will get the Bluedriver Pro App for free. Don’t worry about these apps below. The OBD Fusion app for iOS is designed to work with all ELM327 adapters including the Veepeak OBDCheck Bluetooth. However, generic ELM327 adapters will not work with OBD Fusion. This mostly has to do with iOS limitations than with the scanner itself. But still, OBD Fusion is compatible witll all 1996 and newer vehicles sold in the U.S. This also includes domestic or import cars, trucks, and SUVs. The OBD Fusion app will allow you to create virtual dashboards. This enables you to monitor the vehicle sensors using your iPhone or iOS device. It can also read diagnostic trouble codes, clear the check engine light, and create graphs for live data. OBD Fusions also supports enhanced diagnostics. This includes diagnosing trouble codes from the ABS, SRS, body control modules, automatic transmission, and 4×4 drivetrain. This feature is available as a separate in-app purchase within the app. OBD Fusion is available for download in the Apple Store and Google Play for around $9.99. Car scanner is a new software solution that we only recently started using so it hasn’t been battle tested like OBD Fusion or Auto Doctor, but the couple months we’ve been using it, we love it! It’s free to install from the iOS store and the Pro version upgrades are very affordable compared to other apps! If you choose to get this app, here’s the HOW TO USE GUIDE. The OBD Auto Doctor software is available for Apple, Windows, and Android devices. The OBD Auto Doctor for the iPhone is available as free download in the App Store. However, the in-app purchases are $4.99 monthly or $19.99 yearly. The Pro version of OBD Auto Doctor is also sold for $23.99. So it’s great if you just want the basic functions at first and you can choose to upgrade later on if you want. What I do not like about the app is you basically have to upgrade to the Pro version to get the features you’ll want to use for troubleshooting (graphs, live data, etc). The software for Windows and macOS are divided into three tiers. The express version is licensed per user and will start at $39.95. The standard version is ideal for power users and DIY mechanics and will cost around $59.95. The business version will cost $119.95 and is great for small repair shops or commercial applications. Take note you only need to make a single payment. The fees stated are not a recurring monthly or yearly subscription. The free version of OBD Auto Doctor is good for the weekend warrier, but you’ll want to upgrade sooner than later. It supports all known OBD2 protocols including ISO 15765-4 CAN-BUS and SAE J1850 PWM. It will allow you to read and reset diagnostic trouble codes, view freeze frame data (Pro version), and search for the meaning of the trouble codes via a DTC database. However, most of the cool features such as sensor graphs and data logging are only available in the Pro version. Steve did a great crash course review/how-to guide with Auto Doctor. He’s not using an iPhone, but it’s the same concept 🙂 Check out his video below. But there are some OBD2 Bluetooth scanners that are officially licensed by both Android and Apple. These are far and few in between and are equipped with ELM327 microcontrollers. If you have an iPhone but you want to connect via Bluetooth, here are your best choices. Let’s first tackle the elephant in the room: the price. The BlueDriver Bluetooth will cost almost a hundred bucks at the time of this article. It’s less expensive than bulky professional scanners, but it costs 3-4 times more than generic ELM327-based adapters (like the Foseal). However, for the price you also get the full version of the BlueDriver app, which is specifically intended to work flawlessly with the BlueDriver OBD2 adapter. If you buy the Bluedriver, you should use the Bluedriver app, no need to purchase one of the others listed above. Bonus: The BlueDriver Bluetooth scan tool is officially licensed and certified for Apple and Android devices! Bluetooth is a bit better than Wi-Fi connections since you can browse the internet while your device remains connected via Bluetooth to the OBD2 scanner. With the Bluedriver and app, you will be able to access a free database of vehicle-specific repair reports. The database contains more than 6.6-million known fixes for a trouble-free and cost-effective repair. Read more about the Bluedriver in our review. 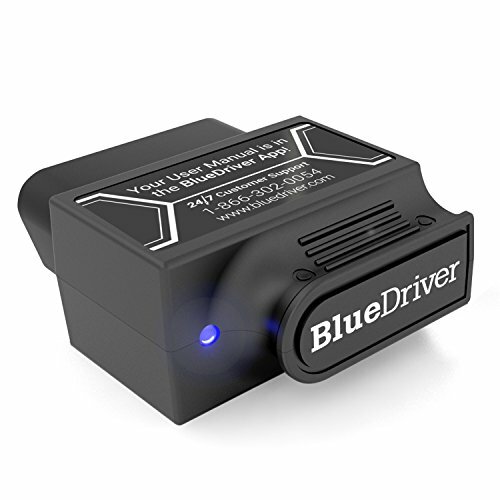 If you want a high-quality ELM327-based Bluetooth OBD2 scan tool that works with the iPhone or iPad, the BlueDriver Bluetooth Professional is the top choice. It is compatible with all types of OBD2 protocols from 1996 upwards to ensure unparalleled compatibility in all OBD2-equipped vehicles. This is the reason why BlueDriver Bluetooth is on the top of this list. Since it comes with the BlueDriver app, there’s no need to download or purchase a separate app. If you think the BlueDriver is a bit expensive, check out the Veepeak Code Reader. This OBD2 Bluetooth scan tool is compatible with iOS and Android devices. Make sure you first download a compatible OBD2 Bluetooth app such as OBD Auto Doctor, Car Scanner ELM, or OBD Fusion in your iPhone. 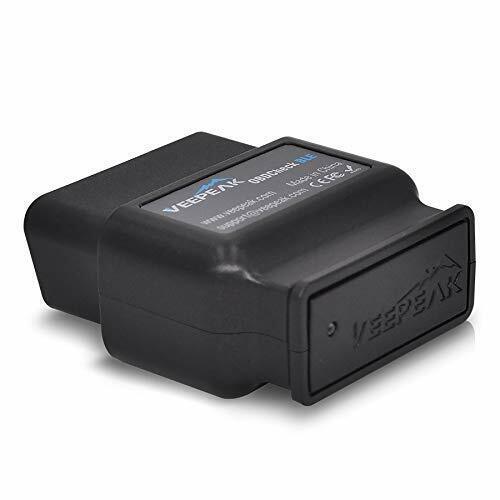 Plug the Veepeak OBDCheck device into your the OBD2 diagnostics port, start the engine, turn on Bluetooth (on your phone), and fire up the app. From there, your iPhone will turn into a modern diagnostic scanner to determine the cause of that annoying check engine light in the console. But the functions will be limited depending on the type of OBD2 app. Most of the time, you will probably need to purchase the paid version of the free app to unlock all the features. Considering the low price tag, the Veepeak offers a solid value. It works with all OBD2-compliant vehicles and is also compatible with all known OBD2 protocols. The Foseal is the cheapest of the 3 and has been around a while. It was one of the first scanners we reviewed and we still use it once in a while. However, it only support Wi-Fi for iPhone and we are focusing on Bluetooth for this article 🙂 Still, if you want to save some cash and use wi-fi rather than Bluetooth, check out the Foseal. We wrote a Foseal Review here that goes into more detail. Using the iPhone for OBD2 diagnostics is easy with the use of a quality ELM37-based OBD2 scan tool and the accompanying OBD2 app. There are tons of free OBD2 apps in the App Store but not all of them are compatible with generic Bluetooth adapters. Make sure to buy only the best Bluetooth OBD2 scanners for iOS to ensure a smooth and trouble-free repair. We've talked about iPhone code readers in the past, as well as OBD2 software for iPhones, but today we're going to talk specifically about the iPhone app that you'll need to use with your Bluetooth code scanner.